Cottage on the lake, formerly a boathouse, surrounded by nature, in a quiet and reserved position. Ideal for relaxing and contact with nature. Also surrounded by a large garden, equipped with barbecue and other outdoor furniture. Living room with fireplace, large window and balcony directly on the lake. The chalet also has a bedroom with an additional 2 beds. 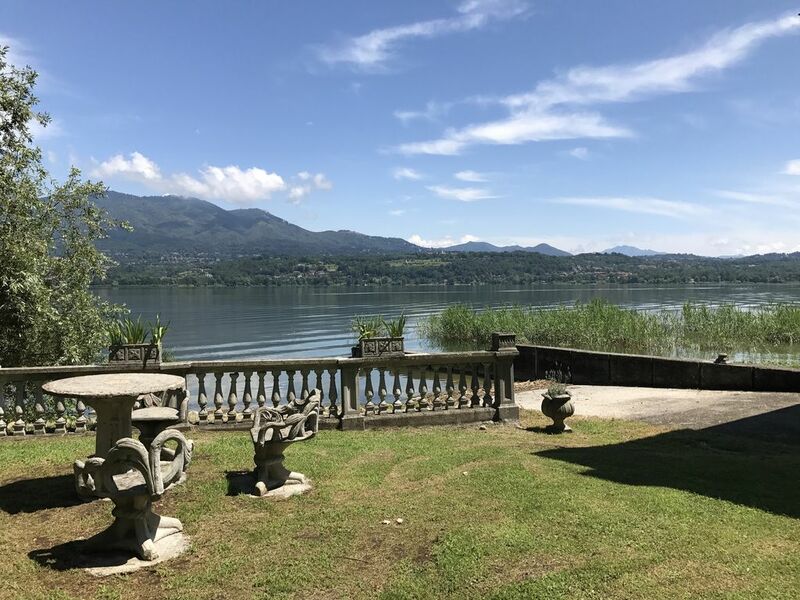 Close to all the major lakes in the area (Maggiore, Como, Lugano, Monate ...) numerous golf courses, bike path. Chalet directly on the lake, former dock, surrounded by nature, in a quiet and private location. Ideal to relax and stay in touch with nature. Furthermore, surrounded by a large garden, equipped with barbecue and other garden furniture. The chalet also has a bedroom with possible 2 extra beds.